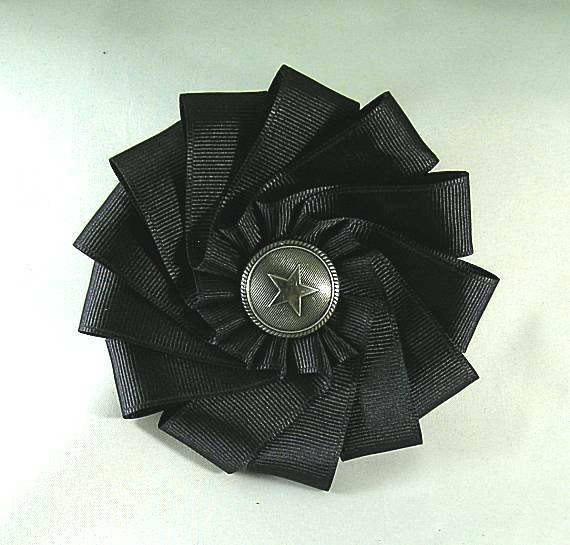 This black cockade is made of 1" grosgrain ribbon with a center shank button containing a star design. 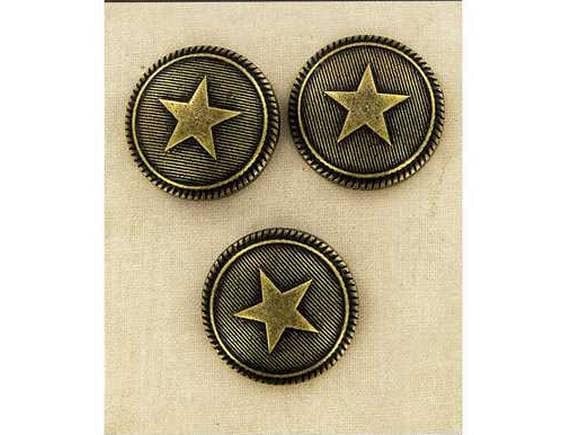 The button is held on with a metal cotter pin so that it is easy to remove and replace with a military button or another symbol of your choice, if desired. Hat not included in this listing! The cockade is approx. 4" in diameter and has a felt backing. 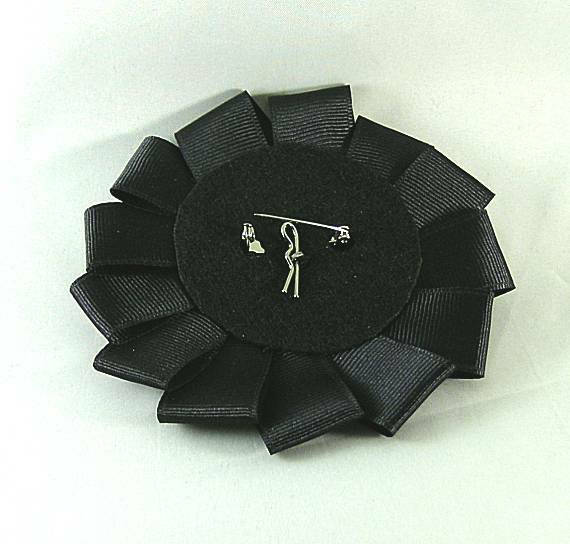 There is a bar pin on the back for attaching it to clothing, an arm band or cloth hat. CAUTION: The pin will not go through a felt hat without bending and possibly breaking. 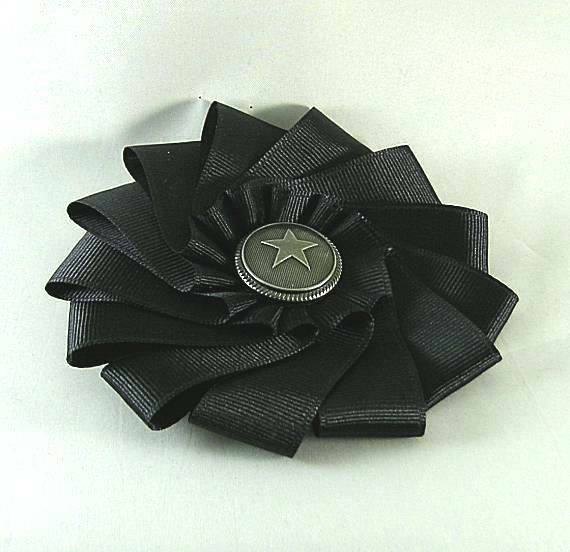 Please stitch your hat side up with thread or a thin ribbon and then attach the pin to the stitching. 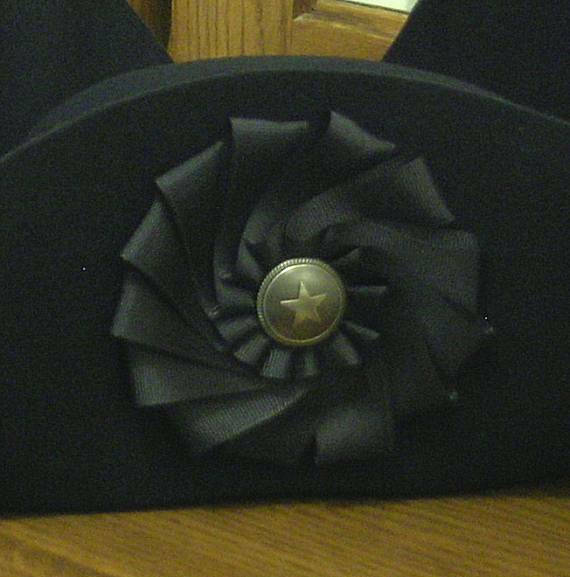 If you have one of our laced tricorn hats, just slide the bar pin through the "x" side laces. 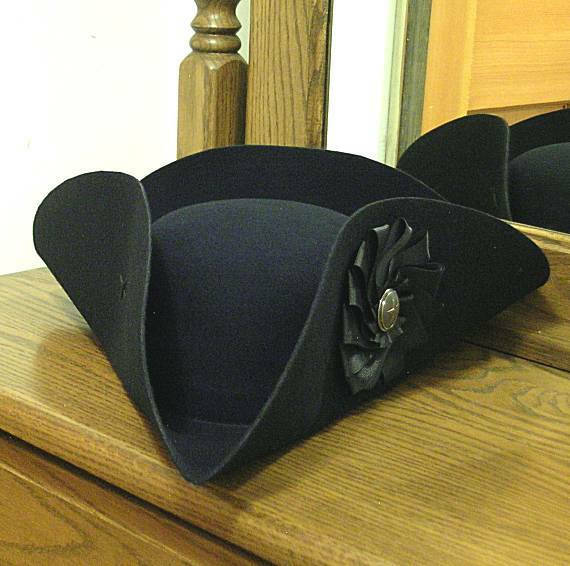 BLACK COCKADES - The black cockade was worn in England to represent the Hanover monarchy beginning in 1714. 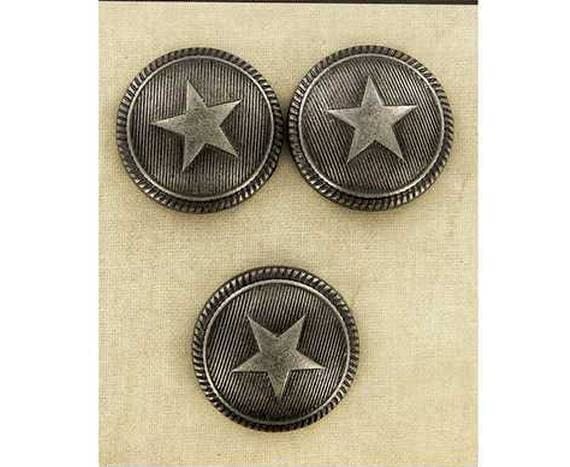 In American, the Continental Army continued to wear the black cockades of King George of Great Britain. However, during the early years of the revolution (1775) they started wearing cockades of various colors to mark the officer's rank.